Laguna Displays' designers combine flexible components, cutting-edge materials, stylish finishes, and dynamic graphics to create a unique 3-D representation of your marketing message. 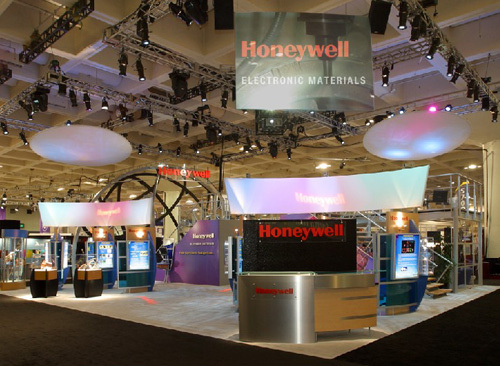 Whether a custom hardwall or custom system design, your unique exhibit will dynamically embody your brand and create an experience to engage your customers. Laguna Displays' custom exhibits are available for both purchase and rental.